The moment you've been waiting for! 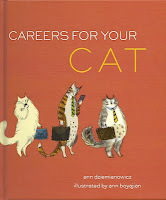 The winners of the "Careers for Your Cat Giveaway." The numbers have all been picked randomly using the Randomizer. Okay, here it goes! Kitties, drum roll please! Oh! Wait. Wait. Wait. I almost forgot. I am so pleased with the big show of support and enthusiasm for the giveaway from my followers on Facebook, Twitter and my blog. You all said such nice things. Thank you! Well your good mood, put me in a good mood. Plus, I am infused with the holiday spirit... or too much egg nog! 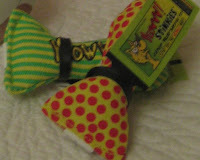 So I picked 3 additional followers (randomly) who will receive--2 Yeowww! Premium Catnip Stinkies and a signed copy of my book, Careers for Your Cat. Now for the drum roll, Kitties! Congrats to all the Winners. And thank you all for entering. I hope to do it again! WINNERS: Please contact me at: careersforyourcat (at) gmail (dot) com by Tuesday, December 21st. Or I will have to pick another winner. who the book is for so I can sign it for them. YAY!!!!! CONCATULATIONS to ALL of the winners!!!!! 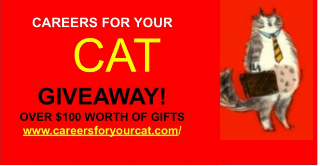 Those are some CATABULOUS PRIZES!!!! YAYYYYYYY!!!! 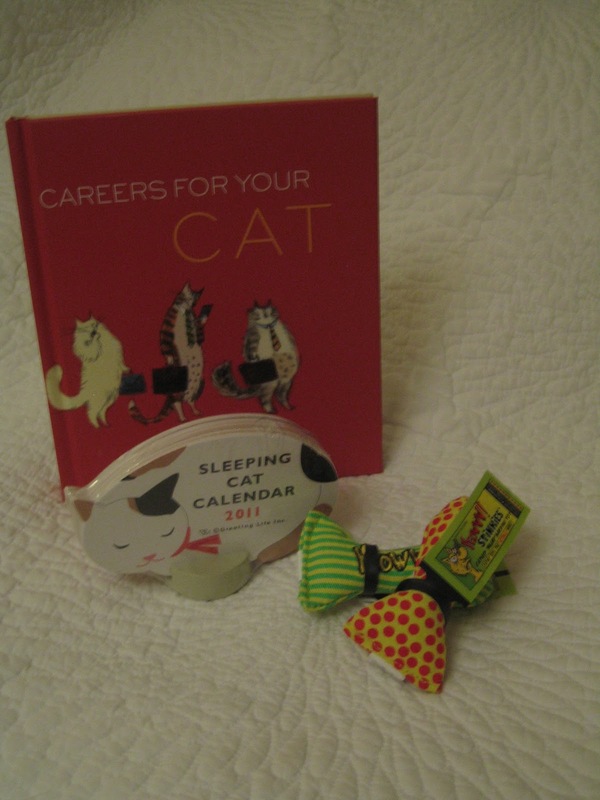 Thanks, Ann (and Caren!!) ..emailing you right now! YAY!! Love your enthusiasm Caren. So decided to add my own YAYYY!! to yours and Catsparella's. Now, how do you react Caren, if YOU win! Haha! Calm and dignified. I know. Congrats to the winners!! And YAY to my friend Catsparella! Have a fan-tabulous weekend everybody!! OMC OMC...woooowhooooo.......O tank u..o tank u..*happy dance*.....!!!!!!! This is so awesome! What a wonderful surprise! Caren, don't make excuses. You don't have to be calm and dignified. Leave that for Cody! ;) I love people who are passionate about life. Unlike the cat with his 9 lives, we only have one! Laura, I'll "borrow" conCATulations too! ConCATs to everyone! Sue: I'm happy Bucky won, just to see his Happy Dance!! Awwww....you are making me BLUSH! !